Home » Blog » Avenues to Advocacy – join our hackathon! Avenues to Advocacy – join our hackathon! A hackathon is a one day work party with the aim of building a technical tool. Let me stop you there because I am not tech savvy. What is a technical tool? Traditionally, hackathons build a single website or a single app. For example, hackathons are applied effectively by Geeks Without Borders to build software that tracks infectious disease outbreaks in Africa. One of the things I like to compare it to is like inviting all of your friends over to paint your fence, the work just goes a lot of faster than building alone. While we love having technical skills, there’s a ton of opportunities for people who are simply interested in transportation advocacy or just interested in participating as part of a team. We need folks to write for the website, test tools, or just generally help out. Anybody interested in building the next generation of transportation advocacy. We particularly need planners, advocates, community activists, designers, and of course, programmers. Why do we need this? How would this facilitate transportation advocacy? It’s basically going to de-wonkify transportation wonkery. Transportation advocacy is complex. It involves multiple levels of government, and the process can be very slow, but it affects everybody. One of the biggest challenges is that you can know what you want to change but have no idea where to start. People whose voices need to be heard the most often experience significant obstacles to advocacy just because the process can be so obtuse. This is going to be a friendly landing place for people to start getting involved. How can you imagine this being used? Can it be for individuals, too, or just organizations? It’s targeted at anybody who is loosely or strongly affiliated with an organization, or just interested in getting something done. One of the key ways I can see it being used is for someone who wants to see a particular thing changed or a particular bit of transportation policy changed, like getting a bike lane in their neighborhood. This will hopefully do a lot of that detective work for you. How has this come about? What has happened so far? Code for Portland is a group of volunteers that work on civic hacking, which is any sort of technical project related to civic advocacy or civic data. They have monthly hack meetings, and a group of dedicated volunteers has been working on this at Hack Night. We need more folks to participate in the upcoming eight hour hackathon though! What will the Avenues to Advocacy website contain? What are the important elements? There will be a calendar of events and public meetings, including the ability to RSVP, share, and invite people to them. 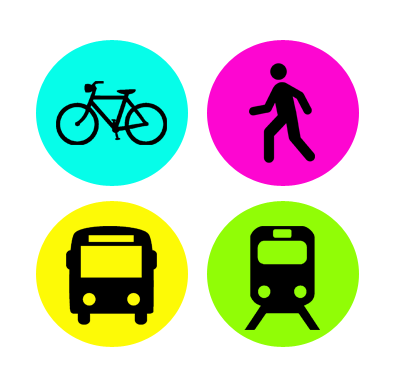 You will be able to look at and use city data sets around transportation. You will be able to identify problem areas or areas that need improvement on an interactive map. There will be space for public discussions around transportation advocacy, and the ability to get text message or email alerts related to transportation problems in your neighborhood or area of interest. We are hoping to have an “ask us anything” feature. If you’re interested in participating in the hackathon (again, no tech skills needed), please RSVP on our Facebook event page.